Although Stephen Chow’s (周星馳) The Mermaid <美人魚> was released in the competitive Lunar New Year market, it has earned over 3 billion RMB in the Mainland Chinese box office, becoming the highest grossing movie in China of all time. The Mermaid accomplished this feat within 19 days of its release. 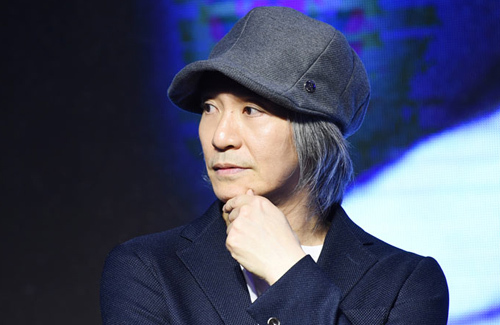 While Stephen Chow appears to have the Midas touch, he shares that directing The Mermaid was one of his most difficult projects. Although Stephen has had his fair share of supporting and nameless roles in the beginning of his career, he rose to stardom after six years. However, popularity brought upon endless negative gossip. Often dubbed as a dictator with a god-complex, Stephen made many enemies during his career due to his strong temper. However, Stephen never once cared about his public image and focused solely on making the highest quality productions for his fans. However, despite his serious demeanour, actors who’ve worked with Stephen always praised the director for his professionalism and expertise. Show Luo (羅志祥), who plays Octopus in The Mermaid, said Stephen will only accept a scene once it’s up to his standards. Sing yeh, you r da man!! a good director (and actor in Stephen’s case) usually will be quite eccentric. while his attitude may be hard to work for many, he does make some really good movies (i like his comedies most). it’s very sweet of him to use his mother’s life lessons for his projects. Me too support Stephen’s movies love watching his production always with a new theme. Stephen Chow is definitely a dictator. He wants his actors to act out his exact vision. I’ve watch the behind the scene clip of ‘Mermaid’ and Stephen really acted out all the roles first to show the actors what he wants. Actors who like to improvise and have their own ideas will not be suited to work under him. Those actors are more suitable to work for Wong Kar Wai who has no script and let actors do their own thing. Actors who are comfortable with following orders and willing to learn from the director will work well with him. Some actors cannot stand him, but, some actors appear in all his projects. So, it depends on personality and temperament matching. I’ve seen Stephen being very strict on what he wants in those behind the scene clips, but, in the same clip, I also see Stephen having fun with his actors.